September 23, at U.S. Bank Stadium, Dennis Green will become the 24th member of the Vikings Ring of Honor. The news became official the day the Vikings’ ribbon-cutting ceremony officially celebrated their new Twin Cities Orthopedics Performance Center in Eagan. I think it’s the best training headquarters in the NFL; it is spectacular state-of-the-art. The Vikings invited Roger Goodell, the NFL commissioner, and Minnesota Governor Mark Dayton as well as many others including Ms. Marie Green and Patti Green, Denny’s oldest daughter. It’s good the Vikings got around to honoring Green, because all he did was make NFL history. Since Kevin Warren became chief operating officer of the Vikings — he’s been here 13 years now — the first Black COO of an NFL franchise and the highest ranking Black executive on the business side of an NFL team. I have repeatedly reminded Warren that if Green does not get into the Vikings Ring of Honor, it would be a shame. Also, considering Green’s place in NFL history with the Vikings, if Green did not get into the Ring of Honor while Warren was COO, it would never happen. 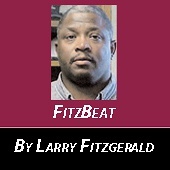 I have covered sports in this town objectively and with passion for 40 years. When I got here in 1978, the great Bud Grant was head coach – I have covered the Vikings since day one, including every player and every coach from Met Stadium in Bloomington, Minnesota to Winter Park in Eden Prairie to the Metrodome to U.S. Bank Stadium. Green was hired in 1992; he was the second Black head coach in NFL history and the fifth head coach in Vikings history. I was at his first news conference when Sid Hartman overshadowed Green’s introduction because he was verbally abusing team President Roger Headrick sitting next to Green for not hiring Pete Carroll, a former Grant assistant coach. Former San Francisco 49ers head coach Bill Walsh suggested to Headrick that Green would be a great fit for the Vikings. Headrick hired Green. It set the tone for how Green would be covered in this town by many in the local press. Fritz Pollard was in 1934 the first Black coach in NFL history; Art Shell was the first Black coach in the modern era of the NFL. 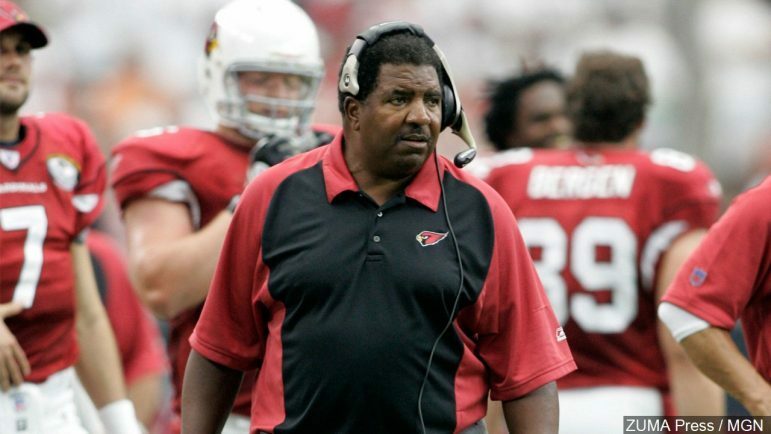 The success of Dennis Green over 10 years allowed Tony Dungy to get hired in Tampa Bay. Dungy was Green’s first defensive coordinator. He had the NFL’s top-rated defense in 1993. His success in Tampa led to him becoming head coach in Indianapolis and becoming the first Black head coach to win the Super Bowl. Tyrone Willingham was Green’s first running back coach with the Vikings. He was hired as the first Black head coach ever at Notre Dame. Brian Billick was Green’s offensive coordinator the year the Vikings were 15-1 in 1998, the highest scoring team (556 points) in NFL history at the time. Billick became head coach of the Baltimore Ravens and won the Super Bowl with Ray Lewis. Green coached Cris Carter; in fact, it was Green who made him as a starter. Green also coached Randall McDaniel, John Randall, Chris Doleman and Randy Moss, who he drafted in 1998. Moss was sensational; he was NFL Rookie of the Year and scored 17 touchdowns that year. All five of these players are in the Pro Football Hall of Fame. Vikings quarterback Randall Cunningham, who Green signed, was NFL MVP in 1998. Green also drafted star quarterback Daunte Culpepper. Green was also the first Vikings head coach to serve on the NFL’s powerful Competition Committee. One of the reasons several local reporters distorted their coverage of Green as head coach was that they simply did not like him. He had his style, and some did not like it. They had issues with his success — eight times in the playoffs in 10 years and his record 101-70, including playoffs and two NFC Championship games. They created a cabal among writers whose mission was to damage Green’s reputation, win or lose, among thousands of Vikings fans. Green started the BAKERS, a community unifying development group to connect to the inner city. He started Vikings Community Tuesdays in which he suggested his players be active in the community on their day off spreading cheer to youth around the Twin Cities, a concept that spread nationally and is carried on by all NFL teams today. Green and I worked together with the National Programming Network, which I founded in 1993. I signed Green to a contract and hosted and produced his weekly radio shows Mondays and Thursdays locally on KMOJ-FM and Thursday on Solid Gold Soul for eight years. We were carried over radio stations on a three-state network in Minnesota, Iowa and Wisconsin.